If you have a farm or food company that would benefit from interacting with thousands of attendees at the Midwest’s premier Good Food event — to be held March 23-24 at Chicago’s UIC Forum — visit https://www.showclix.com/event/good-food-expo for pricing and an application. Debbie Wood’s diet has been complicated since she was 9 by Type I diabetes and a more recent diagnosis of celiac disease. 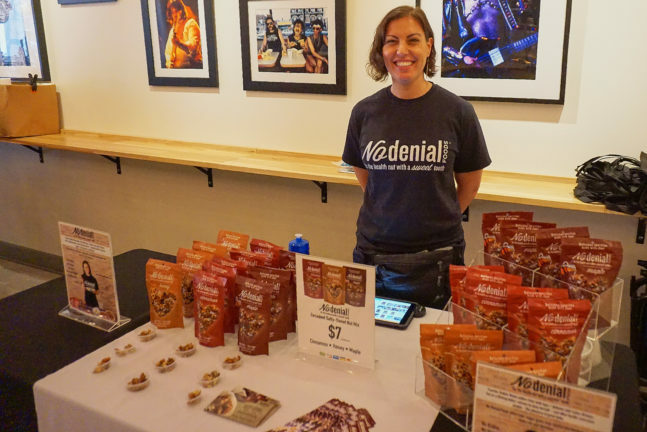 Rather than resign herself to a life without sweet treats, she made her own, got lots of positive feedback — from people who had similar health issues and those who did not — and decided to make a business out of it. 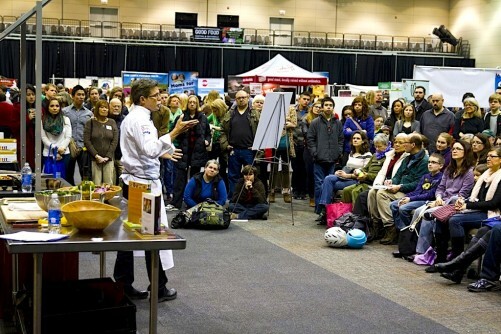 The connection between food and health, represented by producers such as No Denial, is something that FamilyFarmed will emphasize with Good Food Is Good Medicine programming at the Good Food Festival on Saturday, March 24, the second day of the Good Food EXPO. Enjoy the following q-and-a with Debbie Wood. Q: Everyone is interested in entrepreneurial journeys. In your case, your interest that evolved into your product was something that began in your youth. Debbie: I was diagnosed with Type I diabetes when I was 9 years old and celiac disease when I was 32. I struggled to find foods that brought joy to me, that didn’t hurt my body. I thought about food 24/7. It caused me a lot of anxiety… What seems so basic to so many people was so complicated to me… I had to think about what I ate every second of the day and how it affected my blood sugars, and also, when you brought the celiac aspect into it, avoiding many different kinds of foods that I used to indulge in, and also how they were prepared, what was safe for me, what was harmful. Q: It wasn’t your first career of choice. Debbie: Yes, years of that… I got asked almost every day, could you make me this or can you bring more of that in to try or have you made any more of this and it became a constant. I saw a definite need that went beyond myself… I came out with the snack mix because I had a love for granola, and I could not eat regular granola because I also am intolerant to oats… What evolved was not paleo granola, it was a salty, sweet, decadent snack mix that you can munch on during the day, you can top on yogurt, you can top on fruit, eat it with your coffee. It’s just a kind of versatile, treat-like snack that makes you feel really good about eating it, and for me it doesn’t hurt my body. It’s clean, simple ingredients mixed with a light coating of coconut oil, honey, sea salt and vanilla, and it’s just beautiful. It’s addicting. Q: Do you find your target market are people with health issues, or people who just want to eat healthy, delicious snacks? Q: Let’s talk about the R&D involved, because everyone is just crazy about your cake pops. Q: So you’ve got all this great feedback, what were your first steps into entrepreneurship? Q: So you were pretty early-stage when you connected with FamilyFarmed. Debbie: The Good Food Festival was my first food festival. I had kind of officially launched in July 2016. I knew my packaging needed to change and my verbiage, and that was finished in January, so the Good Food Festival in March was the first time that people really saw my new packaging… I had a few people say to me, “Your booth won the show.” We were packed, there was so much energy there and people loved it. It was the first time we were in front of thousands of people. They didn’t have to like it, they didn’t have to buy it. But they loved it… The reception and even the feedback afterward from people who I had met there, it was clear to us that we’d hit the right group and we got our message out to a really broad group of people, which is exactly what needed to happen. Q: What were the after-impacts? Debbie: Afterwards was just validation. This company started because there is a need in my own life and I saw a need in the lives of others around me. This exposed me to a larger group of people, many of whom have the same needs. It showed me how well received and how necessary new products like ours are. People got so excited, they wanted to tell me their story, even if it was so different from mine, everybody has a story. 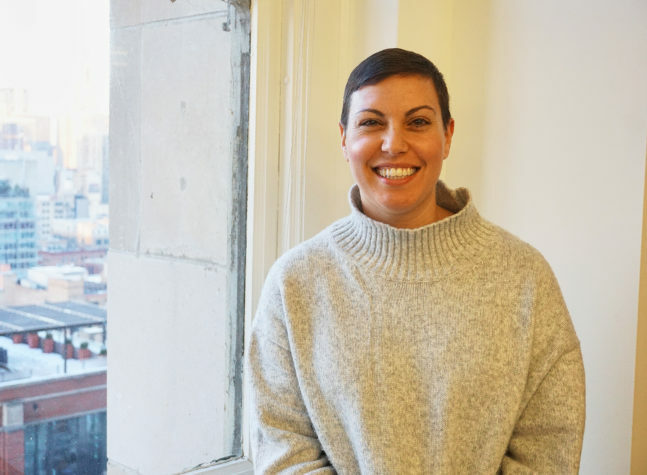 So many people have a story that connects to food that makes them feel restricted and isolated… What we’re doing with our company is really tapping into the emotional needs of consumers who have struggled. Q: What then prompted you to get involved with the Accelerator? Debbie: I learned about the Accelerator through the Good Food Festival. I started to ask a lot of questions from people who participated in the past… I realized it was the right time for my business to benefit from learning so much more. Again, you don’t know what you don’t know until you learn something or ask the right questions or meet someone who tells you you should know this…. Q: All of our Felllows come with a particular issue or issues that they are looking to address. Q: You mentioned Good Food Is Good Medicine. These were issues you confronted before the medical community started to change. Q: Let’s say we’re sitting here on Jan. 8, 2019, where do you hope to be with the company by then? Debbie: I hope to be in 50 to 100 stores. I think it’s realistic. I hope to be in a co-manufacturing facility. I hope to be available to more people to take advantage of us. 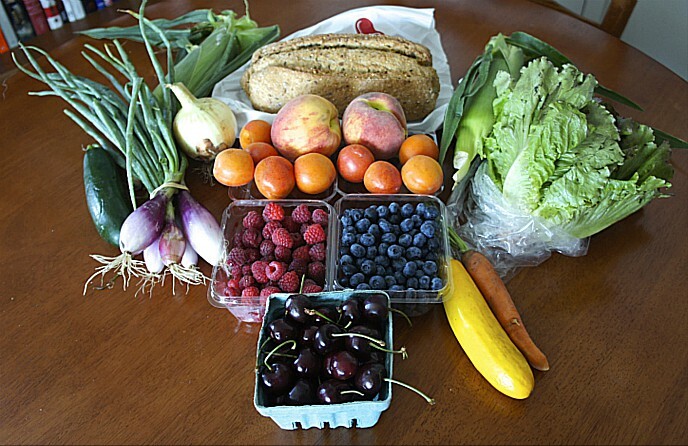 This entry was posted in Eating Disorders, Food and health, Food Artisans, Food Entrepreneurs, Good Food business development, Good Food Festivals, Good Food Is Good Medicine, Good Food marketing, Healthy eating, Healthy snack foods and tagged FamilyFarmed, Good Food Accelerator, Good Food Expo, Good Food Is Good Medicine, No Denial Foods. Bookmark the permalink.